Back awaaay from the phone. We've all been warned not to sleep beside our electronic devices for fear of various potential health risks, but there may be a new and more immediate reason you should avoid sleeping beside your mobile phone. 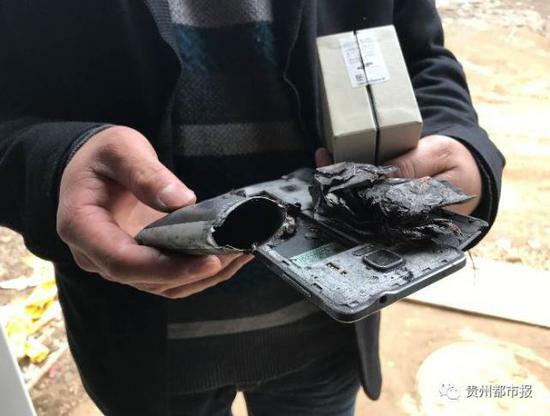 Chinese newspaper Guizhou Metropolitan Daily is reporting that a five-year-old girl was badly burnt following an exploding battery accident from a phone that was charging beside her. According to Mashable the girl has burns on her face, hair, and hands sustained from sleeping beside the exploding piece of tech. The phone in question is a Samsung Note 4. Samsung have since said that the battery inside the phone was a "fake", which may have caused the explosion. The girl is apparently unable to sleep or eat because of her injuries. Thankfully, no one was killed as a result of the accident but this should make you think about safety measures when it comes to your tech. If you can avoid it, keep your electronics away from your head and face while you sleep. The girl's father said he had the original battery in his phone that he purchased from a licensed Samsung seller. If the internal battery was switched out before he purchased it, that could potentially be a huge health and safety risk. As much as you can help it, try and use certified chargers and batteries for all your devices. While this was undoubtedly a scary moment for this family, most phones now are equipped with technology that prevents their devices from overheating or absorbing excess electrical current. BUT that doesn't mean you have to cuddle up next to your phone like it's bae every night.